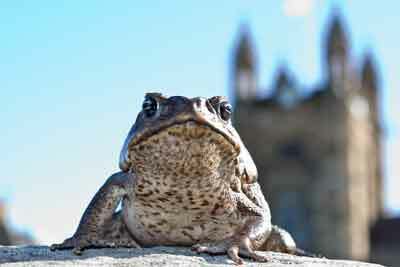 Cane toad stowaways are reaching new and unprecedented parts of Australia. 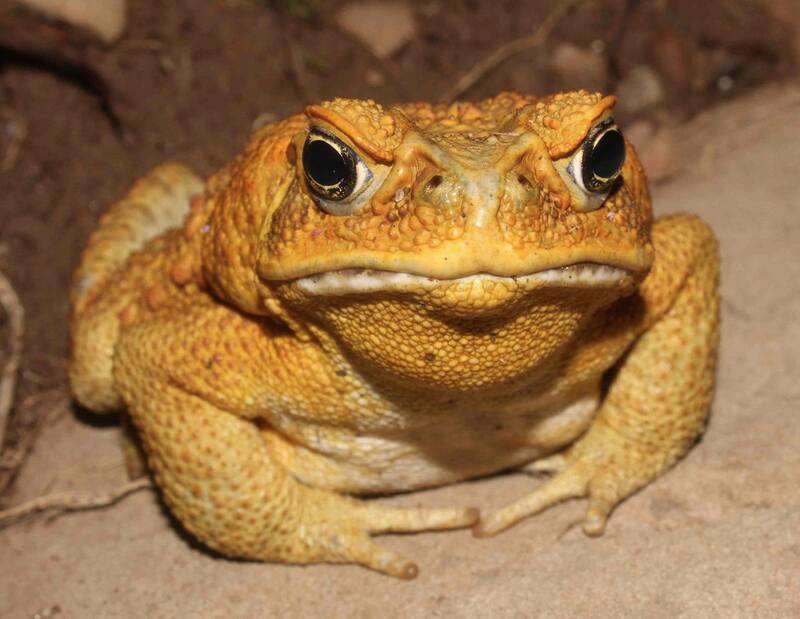 Initially, cane toads reached Australia because of direct human assistance; the Queensland agricultural scientists brought them in to eat the beetles that threatened the cane crop. But those initial releases were all in northeastern Queensland; since then, the toads have made their own way around the country. Studies by TEAM BUFO at Fogg Dam show that the incredibly rapid pace of toad invasion is due to fast movement by individual toads - many of the animals radio-tracked by Dr Greg Brown moved more than a kilometer a night. However, toads continue to get quite a bit of help from people. Sometimes this is intentional – we’ve heard several stories of people releasing cane toads to kill the local snakes (the word “stupid” doesn’t seem adequate to describe such behaviour!). But most of the toads transported by people are just stowaways, with the “taxi-drivers” having no idea that they are moving these unwelcome amphibians around the country. Several aspects of toad behaviour make them good at hitch-hiking. 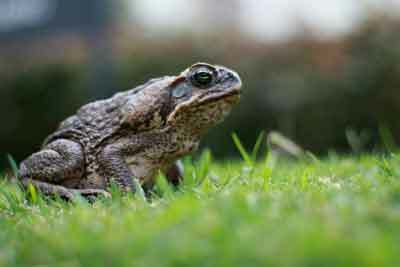 First, cane toads are most abundant in places where people live – they are basically a “weed” species. Even in their native range in South and Central America, there’s no point looking for cane toads in the thick forest – they are mostly in cleared areas around farms and near towns. It’s the same story at Fogg Dam – most of our radio-tracked toads spend their time (at least during the Dry-season) close to human settlements or man-made structures. Living close to people makes it more likely that toads will end up inside vehicles. Second, toads love to squeeze into tight hidey-holes, and so will often end up inside material and equipment that is about to be transported. Some situations make this particularly likely. For example, many landscape suppliers keep piles of woodchip and similar material in large open bins. Toads are attracted to such places to hide out during the daytime, and thus picked up with a load of woodchip when the truck is loaded. A few days later, when the woodchip is dumped out, the stowaway toad has a new home. Third, cane toads are tough! Adult toads are so large that they can tolerate fairly extreme conditions during transport – including a wide range of temperatures and (especially) moisture levels. So they are likely to arrive alive, after trips that would kill many other types of animals. Although there are plenty of anecdotal stories about stowaway toads, there has been little detailed and reliable information on the topic, until recently. This is pretty much the same story as with many other aspects of toad biology. However, Rick was excited to find out that a large and well-organised community group based in Sydney (the Frog and Tadpole Study Group, or FATS) has been gathering this kind of information for several years – and the main person involved, Dr Arthur White, was happy to collaborate in analyzing and publishing the results of their work. 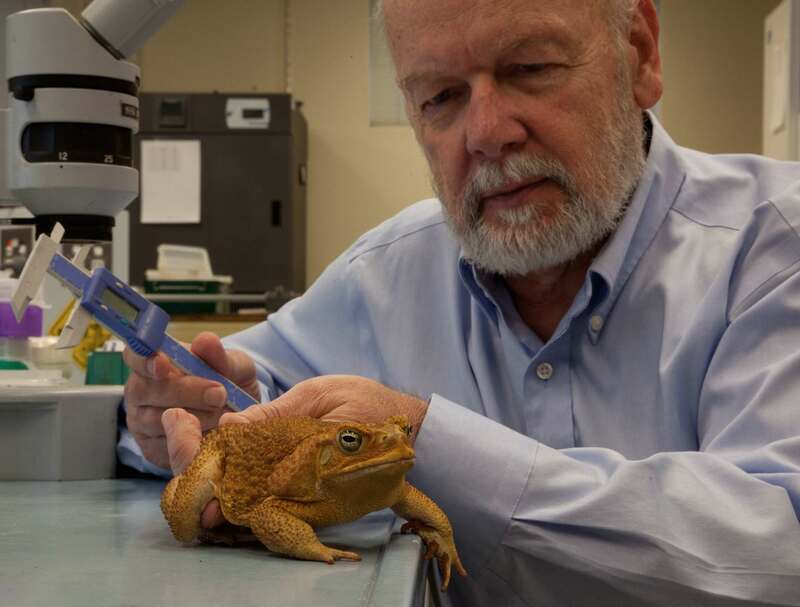 There are lots of interesting stories emerging from that analysis, but the really important one is that large adult cane toads of both sexes arrive in Sydney every year in very substantial numbers. The FATS group has verified identity of the animals, so we can be certain that the “toads” are not just misidentified native frogs. About 50 large toads a year have been collected from the Sydney public by FATS over the last few years – surely just the tip of a very large iceberg, since most toads wouldn’t have been reported. Woodchip and landscaping materials from northern New South Wales and southern Queensland are the usual source, but some toads come from much further afield. For example, one shipping container from Fiji contained several live toads when it was opened! This high rate of toad transport is a real worry for areas of Australia that are climatically suitable for toads, but don’t yet have them. Cane toads often use areas around human settlements, so are likely to be accidentally transported as stowaways to new areas.